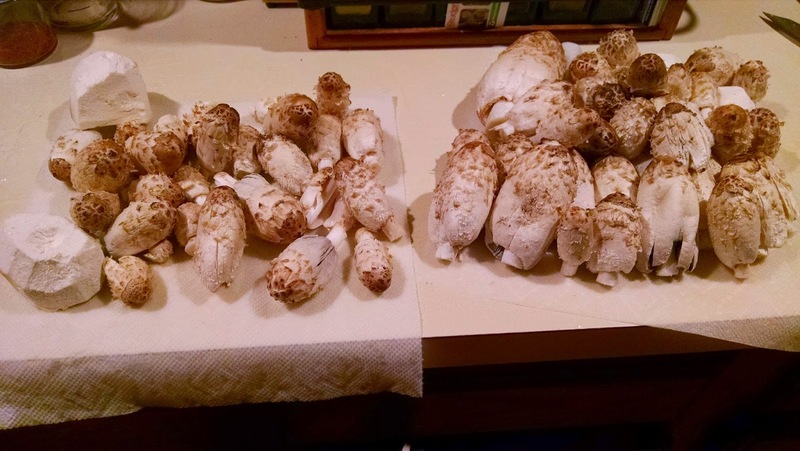 Last week, when I picked those two shaggy mane mushrooms, I knew more were coming. It was the right type of weather, and that particular spot had plenty before. Boy, was I right! Today the place was full of shaggy manes. After my ride I went out and filled a basket with them. I also found 2 decent sized puffballs, each a little larger than a baseball. 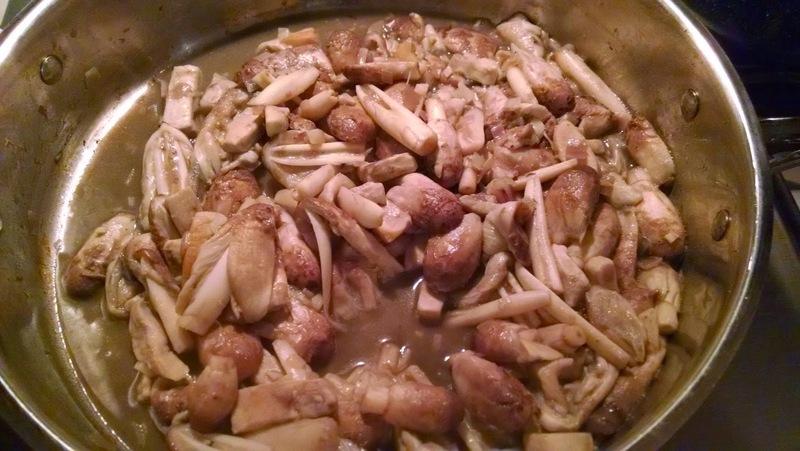 After dinner tonight, I sauteed everything in butter with some shallots and garlic and froze this as a base for soup in a few days. The 13 year old has asked for a cream of mushroom soup and I am always happy to oblige. I also made a batch of yogurt which worked perfectly for a change!